I've been blessed with the ability to look past models that who don't resemble my size or body type and bland styling, which has allowed to find fabulous items and pick out some of the best items that plus fashion has to offer. Through countless comments, I have seen people totally discount whole clothing lines just because the presentation of the pieces weren't to their liking and in the same breath say they can't find plus size clothing. 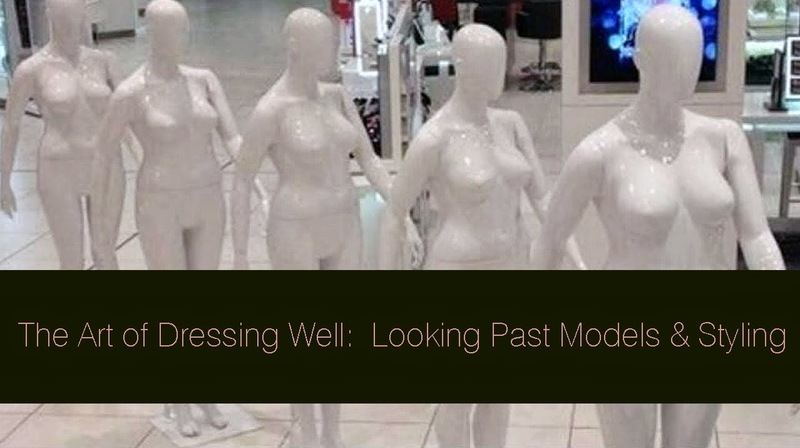 Personally speaking, the days of not having ample plus size fashion options are fleeting fast. 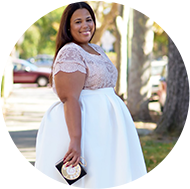 I have been able to dictate exactly how I want to look through plus size fashion, and I have a whole blog to prove it. So the question remains, why can't you find the items you want and what can you do to change that? How to look past bland styling? A classic piece is a classic piece - Meaning that no matter how terrible the styling is, the piece is still is a closet staple that can be used to make great looks. For instance, take a black skirt, I have seen black skirts ruined online by lackluster styling and a bad fit, BUT at the end of the day, it's a black skirt. Looking past the model, and onto the skirt you would just need to gage length (the description usually gives you that) and fit. Don't judge every piece by the majority of the pieces you don't like - I can dislike 49 pieces in a line, but like the 50th piece. I will purchase the 50th piece because I'm not going to hold the one piece accountable for the 49 pieces I don't like. If I can shop and like 1 - 3 pieces, then it's a successful, in my eyes. I don't want all of my wardrobe to come from one place AND because I only like to buy things that I love, I usually don't like to buy more than 2 pieces from one spot at one particular time. For me, putting together great plus size looks is about taking a piece from various places and putting a look together. I'm not expecting to shop for everything all in one place. Plus size clothing doesn't have hanger appeal. I have seen some of the most beautiful plus size clothing on a hanger and it looks just awful, but then you try it on and it comes to life. When shopping online or in-store give things a chance to be tried on. (FYI, DIA & Co is a service that will allow you to try before you buy). Classic prints make for a great item. A great classic print is an excellent starting point to finding an item you love. Seek out stripes, tartan, plaid, houndstooth, and polka dots. How to look past models? (This is not a dig at the models, but as many of you have said, it can be hard to look at a model who is on the small end of plus and dictate what the garment will look like you). Know what type of silhouettes look good on you already. I know fit/flare & pencil skirts at a midi length look great on me. I automatically know when I see those that will be something that I will gravitate to. Because I know this is a great item for me, I'm not looking at the mannequin, model, air mannequin, or bad styling. I just need it to be a print or color that I like. Just don't look - I haven't looked at a model since 1967. HA! Just kidding, but when I'm shopping online, I'm looking at the clothes. I'm not comparing my body type to hers...I'm just thinking about how the item will look on me.